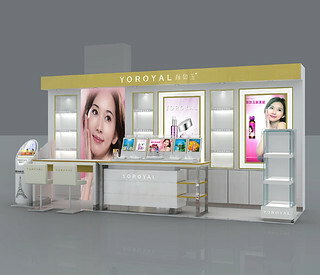 Why do Most Customized Cosmetics Display Stands Use Acrylic Materials? First of all, acrylic is an important thermoplastic developed in the very beginning. It has a good performance in transparency, chemical stability and weatherability. It is easy to dye, easy to process, and enjoys a very beautiful appearance. Acrylic has a wide range of applications in the construction industry, such as cosmetic display stand, especially the acrylic cosmetic display stands. Usually, product display stands can be divided into casting board, extrusion board and molded plastic. So in this regard, acrylic materials are a wise choice to be used to customize your makeup display stands. Secondly of all, from the perspective of acrylic materials in a long term, as you may know, in recent years, with the rapid development of construction of hotels, guesthouses and advanced residences in mage cities, acrylic materials in our country have developed rapidly due to the fact that acrylic extrusion board has fantastic features such as high overall structural strength, light weight, high transmittance and high safety performance and other special advantages. Compared with inorganic glass, acrylic materials provide you with much convenience to customize your acrylic makeup display stand. The last but not the least, from the perspective of being competitive, with the improvement of building regulations in China, acrylic materials will be more competitive in more application fields. In addition, in China’s construction industry, there is still blank in the application of acrylic materials, such as optical acrylic materials, radiation-proof acrylic materials and optical disc grade acrylic materials. As for acrylic display stands, it is also in the very beginning phrase of its development, so there is great room for further development. Because of cosmetic display stand’s luxurious appearance, profound quality feeling, easy cleaning, high strength, light weight and comfortable use and so forth, acrylic cosmetic display stands has been widely used in recent years, what’s more, makeup display stands will help you to stand out your cosmetics and showcase every detail of them to win your customers.